Jafar Panahi the award winning Iranian film director attended among Foulad workers in the city of Ahwaz , where the workers are on their 20+ days of protest . in support of Mr. Meysami due to his deteriorating health condition . 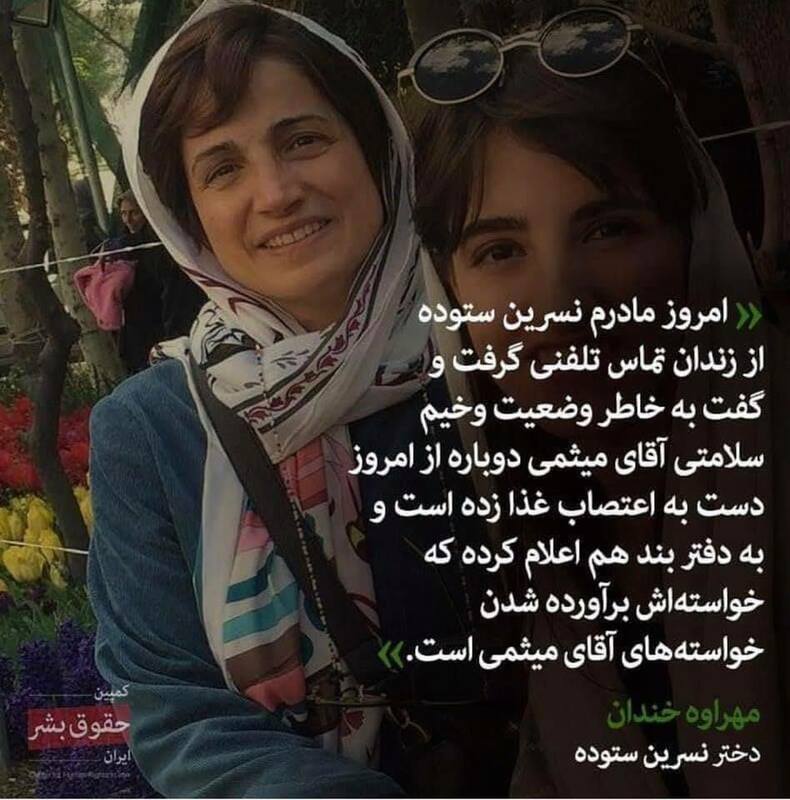 And she has also reported her strike to the prison office and demanded that her request is the fulfillment of Mr. Meysami's demand . News coming from Iran indicates that, the life of Sepideh Ghalyan and Esmail Bakhshi and also Ali Nejati is in great danger . 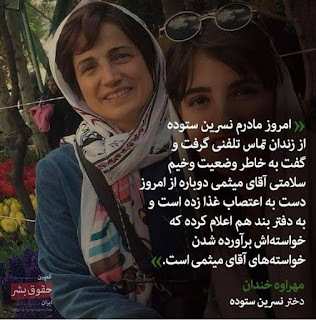 Haft Tapeh workers in a statement request from the all workers of the world and human rights organizations to demand for their release from Islamic regime . 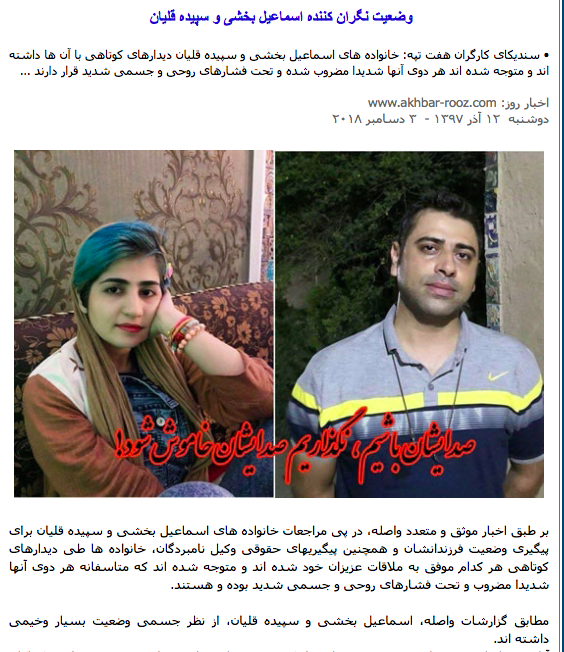 According to news , the families of both Sepideh and Esmail were able to see them and according to them, they were both thin and there were signs of torture on them, in a way when Spider's mother huge her , she felt pain in her body . They also did not know what was the time or the date . 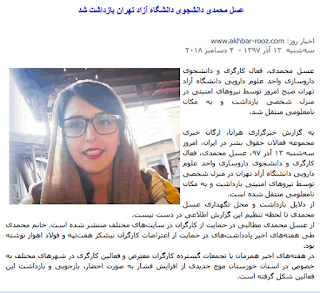 according to news Asal Mohammadi a pharmaceutical student of Tehran Azad University is arrested at her house by security agents and was transferred to un unknown location. 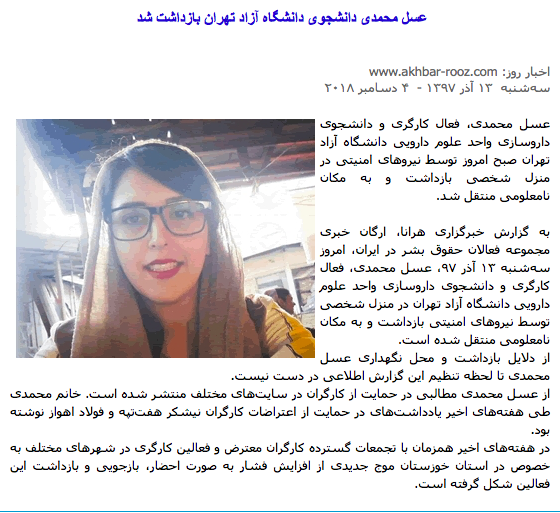 Asal Mohammadi has written articles in support of the Haft Tapeh workers . There are no news on her whereabouts . In Solidarity with workers in Khozestan- Ahwaz ( Foulad workers ) and Haft Tapeh workers in the city of Shoosh the students from the university of Amirkabir chanted : We are the children of workers and and we stay with them . 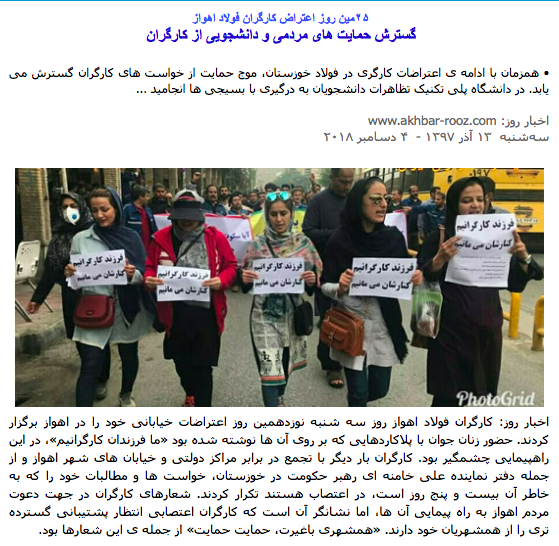 Report also indicate that , the students at Polytechnic University also protested in solidarity with workers and had clashes with Basiji students . 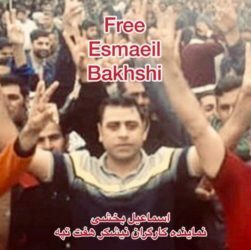 Workers of Foulad from the city of Ahwaz continued their 19th days of protest in the city . In this protest the children of these workers and their families as well as the people joined the protest in solidarity with workers .